Iron Man’s updated armor as it appears in Avengers: Infinity War. Last year, pictures of Robert Downey Jr. on the set of Avengers: Infinity War revealed a particular arc-reactor-shaped hole in his costume, sparking talk of a dire fate for the Iron Avenger. Although we eventually glimpsed the reactor in the Infinity War trailer, we now know its return isn’t for Tony’s health: It’s the key to his new armor. 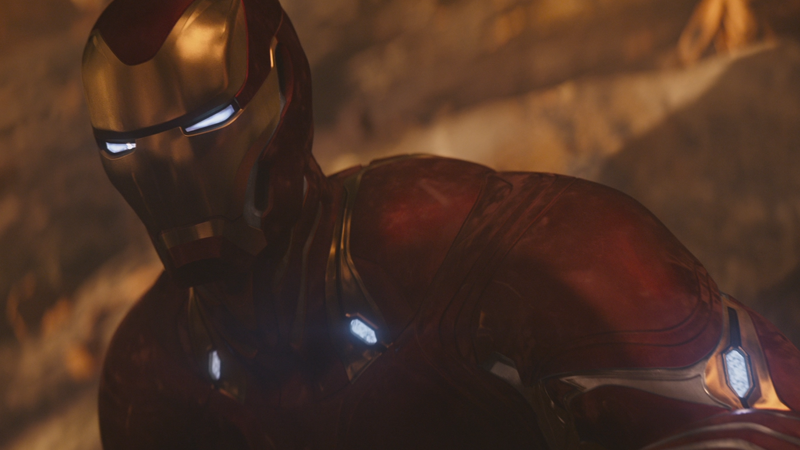 Revealed through Entertainment Weekly’s new cover story on the movie, the latest iteration of Tony’s Iron Man suit—officially being dubbed the “Bleeding Edge” armor, a reference to the slick, post-Extremis armor Tony built for himself in the comics in 2010—features all sorts of enhanced upgrades, including a set of rocket thrusters and a mean looking arm cannon. But the advanced tech of the suit apparently requires Tony to hook himself up to an arc reactor again, having removed the one protecting his heart from shrapnel back in Iron Man 3. So at least this one particular rumor about Tony’s potential doom in the next two Avengers movies can be put to rest. Considering how much it looks like Downey Jr.’s time as Tony Stark is coming to an end beyond this, though, it doesn’t mean it’s safe to say that Iron Man as we’ve known him is in the clear. What If We&apos;ve Been Staring at Avengers: Infinity War&apos;s Missing Soul Stone This Entire Time?